Diabetes education services are provided at Memorial Hospital of Carbon County (MHCC) by diabetes educator Barb James, RN, CDE. Whether a person has just been diagnosed with diabetes or has had diabetes for years, self-management is the key to staying healthy. Although diabetes cannot be cured, it can be controlled. Our goal at MHCC is to help each patient and family develop a self-management plan that meets their individual needs. Learning skills and strategies needed to control diabetes will help patients live healthier, happier lives. Our Diabetes Self-Management program offers a series of informative, hands-on educational sessions for people living with type 1 and type 2 diabetes, pre-diabetes, and gestational diabetes. An overview of diabetes and how it affects the body. An explanation of factors that affect blood glucose levels. An individualized plan of care through diet, exercise, self-monitoring and medications. Recommendations for exercise and maintaining an active, healthy lifestyle. Personalized meal plans (including your favorite foods). Guidance on choosing healthy foods when eating out. 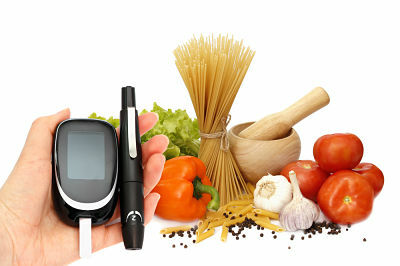 Guidance to minimize or avoid diabetes-related complications. Motivation and encouragement to make healthy lifestyle changes. Instruction for how to take care of yourself when you become ill.
Diabetes education services are available to residents of Carbon County at various locations, including MHCC, Energy Basin Clinic (Hanna), Carbon County Senior Centers, Wagon Circle Family Practice and MHCC Family Practice.